Sadly, this was inevitable. London’s extraordinary gentrification and relentless influx of foreign and offshore fortunes had to reach a breaking point. Now the cracks are appearing in earnest, and as ever, the poor are taking the brunt. The well heeled residential areas of London are now virtual ghost towns. Trying to spot a light on in a Belgravia house of an evening is becoming increasingly difficult as property ownership becomes pure investment or holiday homes for the super rich. Mr Smith, homeowner has become Offshore Asset Management. And as the ripples push out through the capital – as people are priced further out of London, providing basic services to such enclaves is becoming increasingly difficult as worker commutes grow ever longer. But for those living in council accommodation, the consequences are bordering on the inhuman. 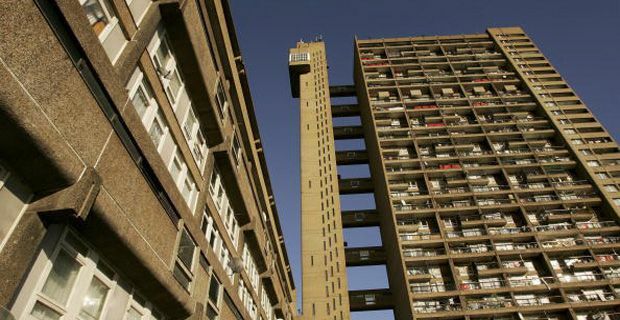 Camden council for example is set to move 761 poor families out of London into cheaper housing up to 200 miles away. This is essentially forced civilian displacement (Geneva Convention anyone?) and a categorical stripping out of roots and community. Kensington and Chelsea and Brent are also planning to ship out their poor in a disturbingly modern echo of colonial ‘transportation’. The government and the right wing press may love vilifying ‘immigrant scroungers’ but what of the immigrant – non domiciled millionaires who are changing the face of London with artificially high flows of investment. Is exponentially rising property an end in itself or at some point should social balance and a sense of community figure in structural thinking? Add absurdly inflated property values to swingeing welfare cuts that limit payments to £500 a week for families and suddenly councils are unable to afford current accommodation and have begun exploring Bradford, Birmingham and Leicester as possible areas for relocation. Conti highlighted the case of a young mother from Willesden who said she was sent a letter by Brent telling her she must relocate to Luton as it was too expensive to house her in the area. The Archbishop of Canterbury, Justin Welby, has also warned of the ramifications behind both the cuts and the skewing of society by the wealthiest. The combination of the two is truly toxic.